As the weather cools and the leaves change colors, it is a beautiful time to be outside. It is also a great time to look into end-of-season maintenance to prepare your garden, lawn, and trees for winter. 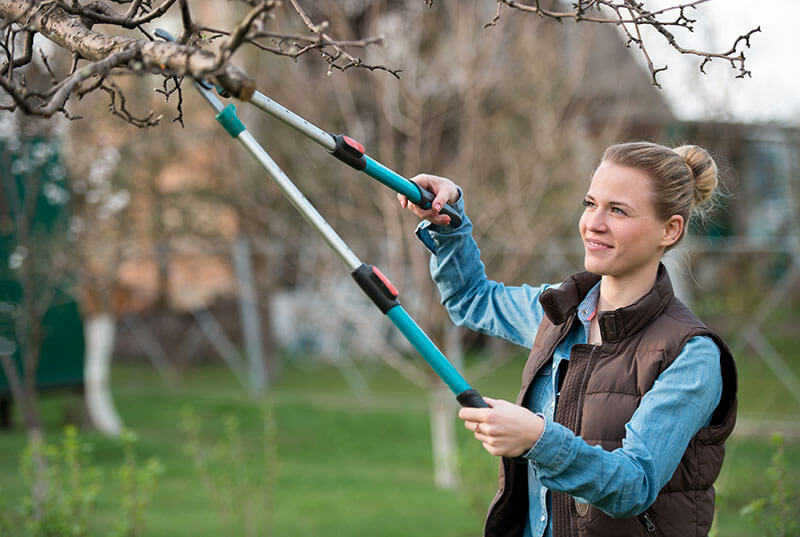 Doing a bit of landscape maintenance now will set you up for a successful spring. These tips will help keep your greenery in tip-top shape over the winter months. Remove. First things first, remove any unwanted plants such as those that are dying (and those pesky weeds that are thriving). This will clear out your landscaping areas and prevent debris from packing underneath the winter snow. It will also make it easier to rake the leaves this fall. Trim. Next, trim back trees, bushes, and flowering plants. Not only will this prevent limbs from breaking over the winter, but it will significantly promote root growth. You will see stronger, thriving plants next spring! See the Farmer’s Almanac for these perennial cutting tips. Add. Looking to add some greenery to your lawn or garden? Do it now! Fall is the ideal time to plant spring bulbs (and garlic). Also, remember to give any new trees, bushes, or shrubs an extra dose of water (deeply and slowly) to help them establish root systems over the winter. Cover. Once your greenery is maintained, give it an extra layer of protection. Add compost to flowers and vegetables, and some attractive mulch to the rest of the landscape. Vegetable Garden Tips: As the vegetable garden stops producing, many people find it best to dig it out completely for winter. This will prevent leaf mold from forming and will also provide a great opportunity to do a quick soil test. For more information, check out these vegetable garden tips. We hope these simple tips add beauty to your lawn and garden this season and prepare them to get through our fast-approaching winter. At least this work will help pave the way for the coming trick-or-treaters! Pradera residents enjoy beautiful landscaping and neighborhood design. Our homes offer the very best in quality, sustainability, and community.